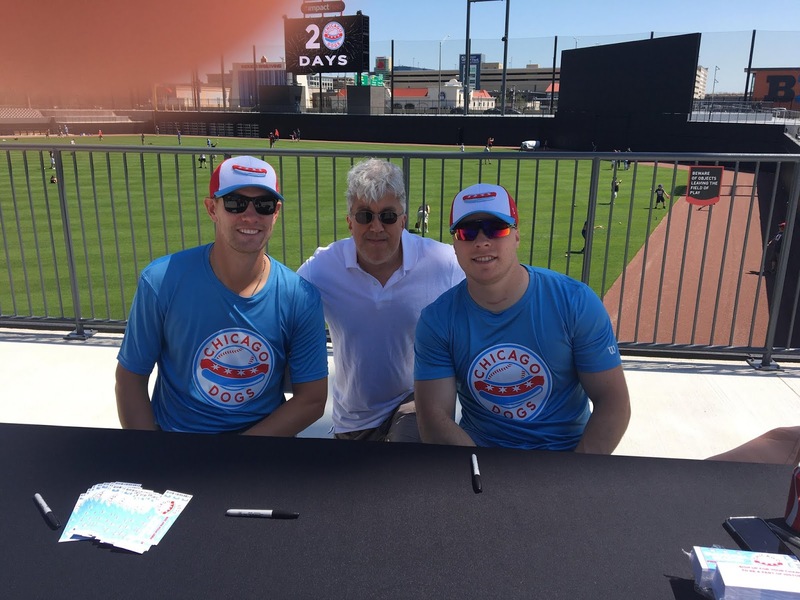 The Chicago Dogs finished their first season with a record of 45-54, good for 4th place in the North Division of the American Association. Overall, they had the 8th best record in the league. That is pretty good for a debut season. For the season, the pitching was a bit better than the batting. Statistically, the pitching generally ranked in the upper section of the leaderboards, while the batting was in the lower half. The Dogs did lead the league in fielding percentage. The Dogs finished with an average attendance of 2,954, the 7th best in the AA. At a pre-season Media Day, I talked to Scott Barnes and Tony Roselli. In 16 games, pitcher Scott Barnes was 2-4, with an ERA of 4.46. In 60 games, Roselli hit .240, with 8 homers, 21 rbi's and 24 runs scored. Overall, this debut season has to be considered a success. In Chicago, with so many entertainment options, they averaged almost 3,000 people per game, while being competitive all season. The future looks bright for the Dogs and I look forward to returning to Impact Field next season. For more info on the Dogs, head to ChicagoDogs.com. You can also go to AmericanAssociationVaseball.com for info on all teams and the league. Scott Barnes, Tony Rosselli and me in Rosemont, IL-May 2018.